This post is from one of the 16 interns in the Real Time Farms Food Warrior Summer Internship Program (our Fall 2011 Food Warriors have started and will be blogging soon!). These interns are collecting data, pictures, and video on the growing practices of our nation’s farms, collecting food artisans’ stories, and documenting farmers markets. We all deserve to know where our food comes from! I was drawn to the Foodshed by their Sunday farmers market and got more than I bargained for. I’m not talking in terms of produce or artisanal goods. While I did walk away with one of the first melons of the season tucked under my arm, I also took away some substantial food for thought. Foodshed differs from other markets in that it is a small indoor market open all year round, nestled in between the shops of Boerum Hill, Brooklyn. The market is hosted by a space known as The Commons Brooklyn, a community educational center. On Sundays, the front of the market features tables of fresh vegetables mixed with goods like Egyptian spices, honey, flour, and pasta, as would be the case in a general store or a farm stand. A diverse collection of food artisan vendors set up shop in the back. On Tuesdays, the Foodshed market at the Commons is open from 4pm to 8pm, for customers who want to do some market shopping after work. The artisan vendors are only present at the market on Sundays however. I was given more insight into how Foodshed works by talking to its enigmatic director, Mosab Qashoo. During our conversation, he explained how Foodshed is more than just a market; he sees it as a kind of mini model of an ideal food system. In the early morning, Mosab gets on his bicycle and gathers the produce from farmers’ markets around the city. He gets fruits, vegetables and other goods from seventeen different local farms including J. Glebocki Farms and Cayuga Pure Organics. Seventy five percent of the produce is Certified Organic and the rest is Certified Naturally Grown, or GAP (Good Agricultural Practices). 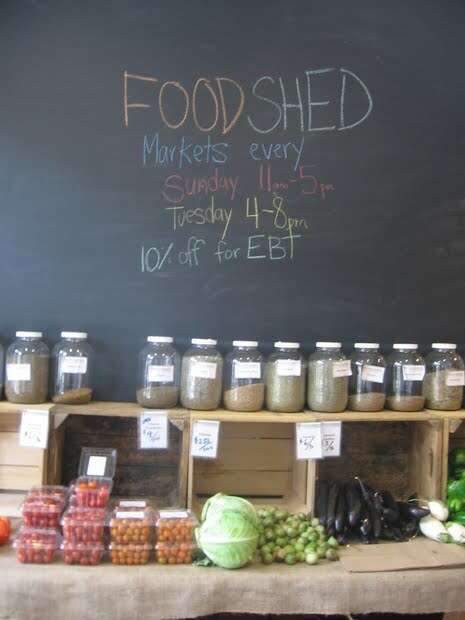 In effect, Foodshed is a kind of condensed farmers market for the local community. Foodshed is all about transparency— being able to track the food directly to the source, as the food system should be. Foodshed has direct relations with farmers and farmers’ markets where they get their products from, and does not use a middle man. 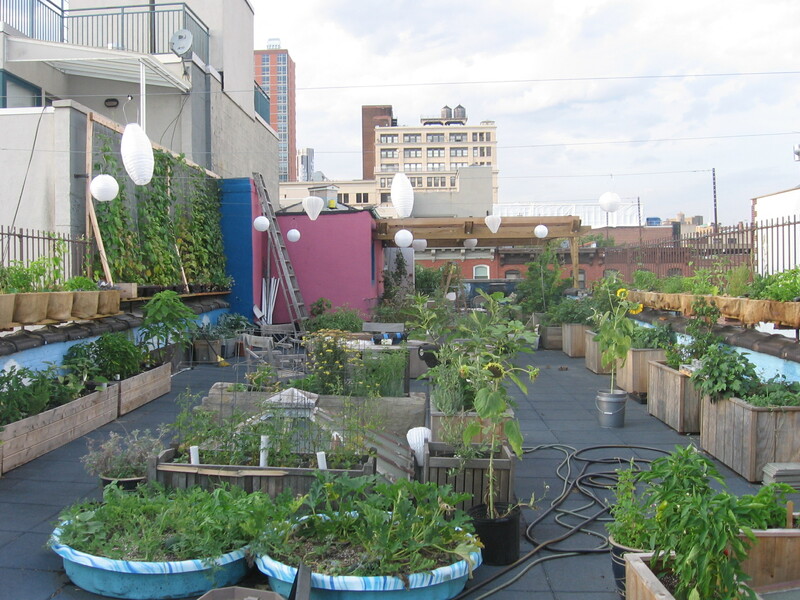 Foodshed also sells produce that is grown on their rooftop garden. As stated earlier, Foodshed uses the environmentally friendly bicycle to gather all that they sell. This is the same bicycle used by Earth to Kitchen which Mosab helped to create. This entry was posted in At the Market (farmers market), Food Warrior Interns and tagged farmer's market, food system, foodshed, local farms, Mackensie Griffin, new york city, Real Time Farms, the commons brooklyn. Bookmark the permalink.